Имате въпрос към Regent Ngamwongwan Hotel? При посещение в Нантабури, в Regent Ngamwongwan Hotel ще се почувствате като у дома си, защото предлага квалитетно настаняване и отлично обслужване. Оттук гостите имат лесен достъп до всичко, което този оживен град може да предложи. С удобното си местоположение хотелът предлага лесен достъп до всички градски забележителности, които задължително трябва да се видят. Regent Ngamwongwan Hotel също така предлага много съоръжения за обогатяване на Вашия престой в Нантабури. Подбор на съоръжения от най-висока класа като безплатен WiFi достъп във всички стаи, параклис, ежедневно почистване, обществена пералня, таксиметрови услуги, са на разположение за Вас в хотела. Като допълнение всяка хотелска стая предлага широка гама от удобства. Много от стаите са с гардеробна, хавлии, телевизор с плосък екран, безжичен интернет достъп (безплатен), стаи за непушачи, за да удовлетворят и най-изискания вкус. През деня можете да се насладите на отпускащата атмосфера благодарение на масаж. С превъзходните си удобства и отличното си местоположение Regent Ngamwongwan Hotel е идеално място, в което можете да се насладите на престоя си в Нантабури. Returning guest. Everything was ok except Wi-Fi was very slow. And guests in 818 and your followers in other nearby rooms, you disgust me, no respect for other people. Keeping your doors open, yelling to each in the early morning (6am). Pathetic slobs. Breakfast was buffet and was ok. Staff were always pleasant. ห้องสะอาด มีอาหารเช้าให้เลือกพอสมควร อยู่ในซอยแคบ สามารถให้เจ้าหน้าที่เรียกแท็กซี่ให้ได้ Clean room, variety of breakfast choices, the location is in the small alley , the hotel staff can call taxi for the way out. It is good value for the money. The rooms are clean,. the a/c and hot water work, and the staff are very nice and helpful. It is a safe and respectable atmosphere which was nice as we were 3 women travellers. There is a traditional Thai massage place right outside it that is good. The breakfast is OK (Asian food only) as is the restaurant food in general (Thai food). The location of course depends on where you want ty go but be warned it is too far to walk to the MRT. Only about 40 baht bt taxi though (Nonthaviri Civic Center MRT station). 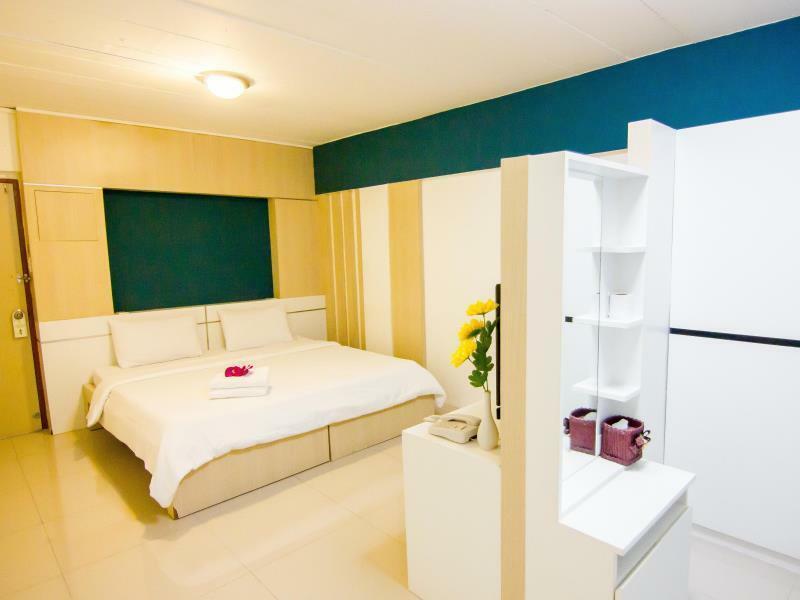 A no-nonsense, down to earth, bug-free, comfortable, clean, halal hotel. Nothing to complain about! Well, I wish more of the staff spoke English, but that's just my personal preference. Hotel rating should not be based on the staff's ability to converse in a European language. Although, that would certainly be nice. 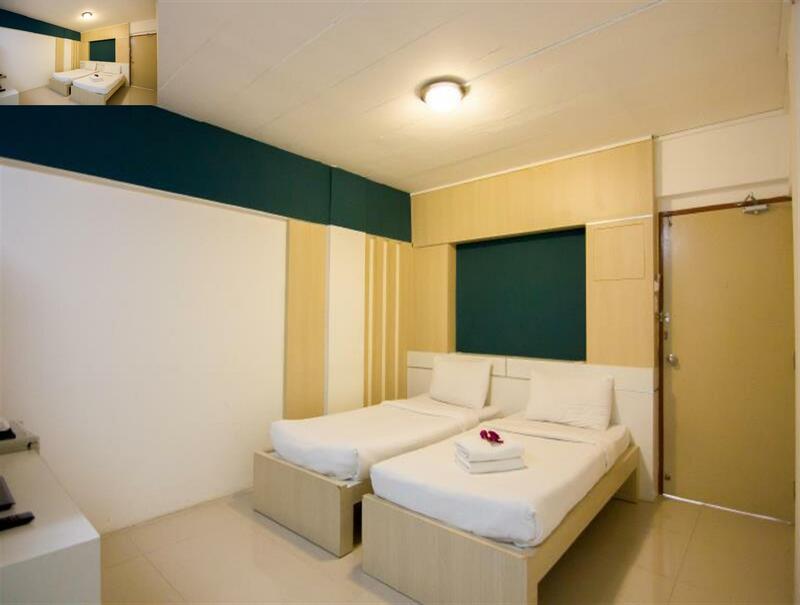 The convenient location, the cleanliness of the room and facilities and the comfortable room were great. This hotel offered the best of a budget-stay venue. We were very pleased with the experience there. 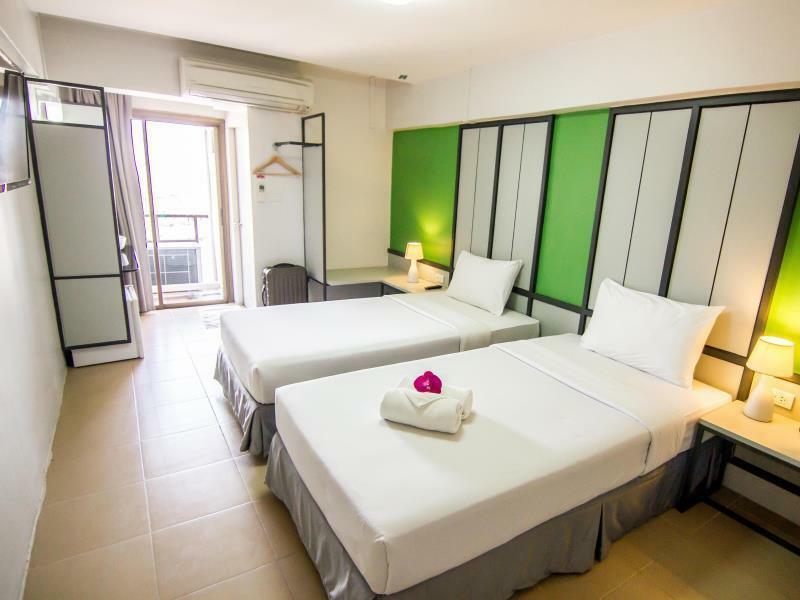 The convenient location, the cleanliness of the room and facilities and the comfortable room were great. The rooms and corridors look very secluded. Key for the rooms are not automated cards therefore making it relatively less safer than other hotels I've stayed at. Very difficult to converse with their staff in english. Not recommended for foreigners. The breakfast was nice and the staff is super nice! I'd love to stay there again if I attend an event in impact arena. It's worth hotel. Good location. 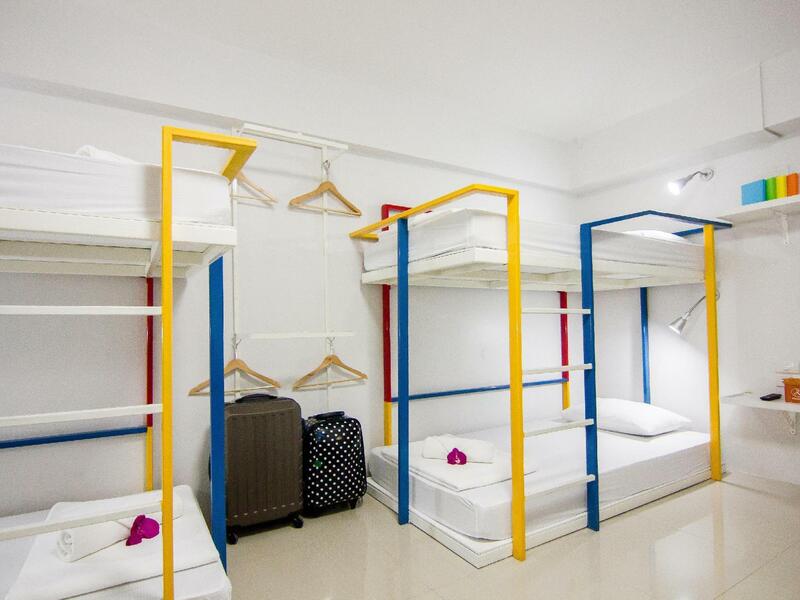 There offers a very reasonable price with clean room and free breakfast! 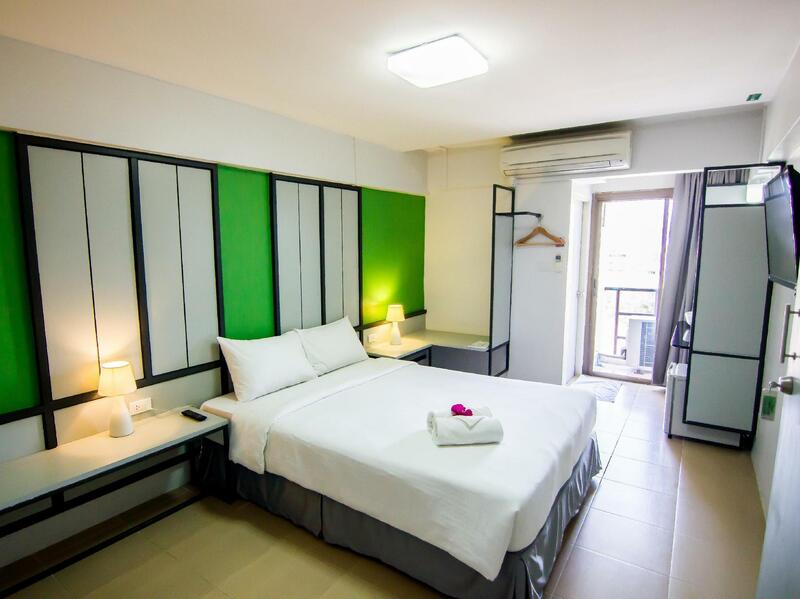 The hotel is located in a small road, but walking distance from the main road. There is a convenient store is located near the property. Room is clean and staff are helpful. No direct access to BTS and MRT. Basic no-frills accomodation in a budget hotel. The rooms were clean, TV & cable had a few English speaking channels and the staff were friendly and helpful. Would recommend for a short stay for people on a tight bpudget. Отседнахме 6 вечер/и в юли 2018 г. The hotel is an excellent value with a decent free breakfast, but unless you need to be close to the area of the hotel, it's not convenient for tourists. Luckily I needed to be in that area. Ok for a short stay, about 150B for taxi to Don Muang. Definitely caters for Asians as no eggs etc at breakfast. Rooms are comfortable enough. Very rude, unhelpful and unfriendly staff(name Kajorn). walk-in price is much higher than price on the ad. Room is ok.